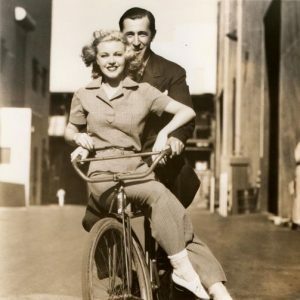 Ann Harding and costume designer Bernard Newmann ride a bike. 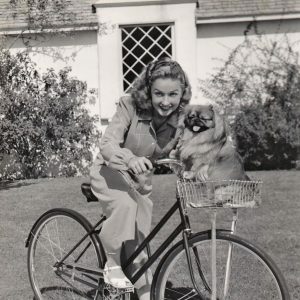 Bonita Granville and Peke ride a bike. 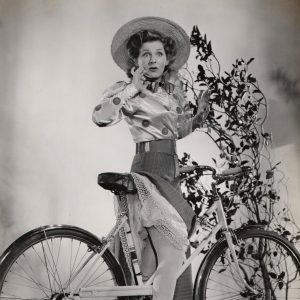 Constance Moore rides a bike, catches her skirt.